Transitioning from Indoor to Outdoor Living is GardenWise! Ease of movement and flow are essential when connecting your indoor and outdoor spaces. This can easily be achieved, especially in an older home, with a few inexpensive additions. Changing a door style from solid to french, and adding a few wooden stairs, will create the connection between the two spaces. 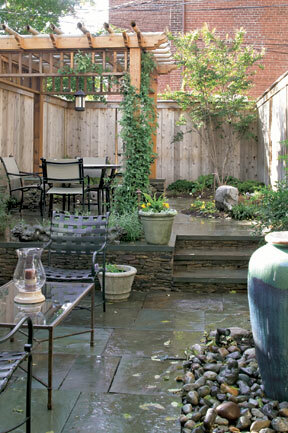 Create areas in your outdoor space for entertaining, as well quiet conversation. Here are before and after pics of a project we designed and installed in Georgetown, featured in Home & Design, that shows how a bare space can be transformed into a zen and beautiful outdoor getaway. The transformation of the interior is amazing. By adding an arbor and a table and chairs, you’ll create an intimate sitting area and a gathering spot for friends & family. A water feature as a focal point by using an urn in a bed of decorative stones will add a couple of visuals while lending the wonderful soothing sounds of water. Strategically placed potted plants with bursts of color and texture will soften the space while lending to an oasis quality. A garden space with plantings and trees can nicely frame and enclose a space while blocking views to a neighbors yard or an alley. Bring ‘Em In for Winter! 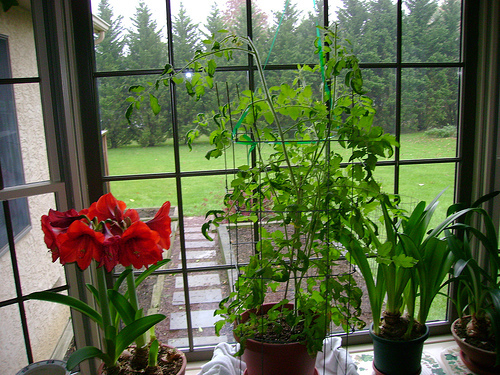 Your plants will stay safe and healthy, and you’ll save a few dollars along the way! But even if you don’t create a plant room, bring your plants inside during the winter season because they will die if you don’t bring ’em in. 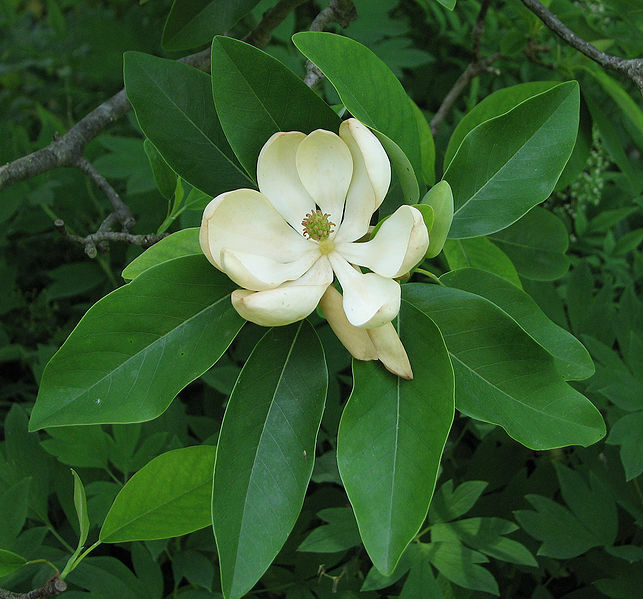 Plants are like old friends, and there’s nothing better than having some old friends come back to the garden each year. 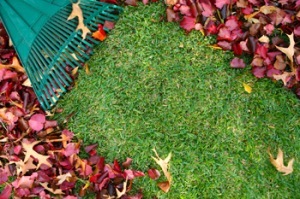 It’s really important to remove the leaves from your lawn — if they’re left on the ground they’ll deprive your lawn of important sunlight and rain that’s going to help it through the winter months. A reader mentioned mowing them, which is a great idea. Just be sure to get them up! Also, if leaves are left on the ground, they could lead to mold problems when water gets trapped which can lead to pest problems. This happened when my neighbor neglected to take care of their basics last year. It’s not cool, so be a good neighbor and pick ’em up! Don’t be a procrastinator! It’s important to get the leaves off the ground in a timely manner and to mow your lawn until the first frost. This will keep the grass strong and healthy. Be sure to remove leaves from your deck — leaves that accumulate on decks can lead to algae, mildew and mold, plus cause the wood to rot.